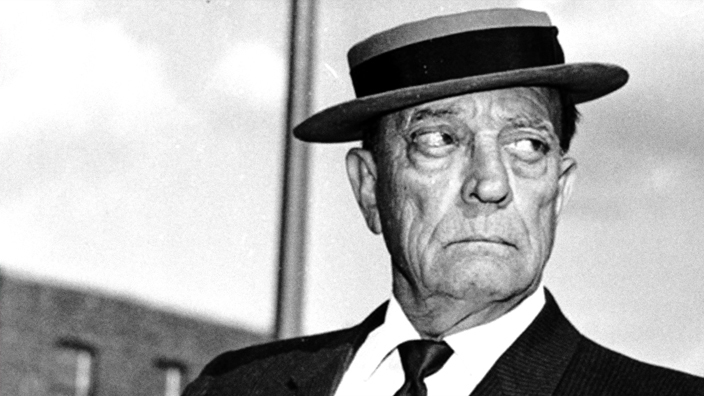 Buster Keaton was born into a family of vaudeville performers in Kansas , and was also named the sixth Joseph in a long line of family members named Joseph. In later life, Keaton would tell a story of how he recieved the nickname “Buster.” One day while tumbling in his family’s vaudeville act, Harry Houdini was in the audience and remarked that he was quite a real “buster” for taking some great falls. In The Three Keatons, he was known as the indestructible boy. At the age of 21, Keaton’s father’s alcoholism threatened the stability of the vaudeville act and he and his family began to move into the new medium of film. Keaton then served in the U.S. Army in France during World War I. During this time he suffered a severe ear infection that impaired his hearing for the rest of his life. Upon his return to domestic life, Keaton met Roscoe “Fatty” Arbuckle ad together they partnered on several comedic films that led to the height of Fatty Arbuckle’s career. 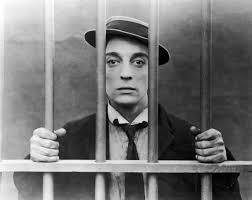 After learning much about the film business Arbuckle, Buster Keaton headed out to become an independent film maker starting with films like The Cameraman, Steamboat Bill, Jr., and The Passionate Plumber. These were soon followed with classics like Sherlock Jr. and feature length movies, like The General. In 1928, Keaton’s life spiraled out of control. He signed with MGM and lost many of his film making rights. With the advent of talkies, Keaton fell out of favor. His wife, actress Natalie took their two kids and divorced Keaton leaving him to sink alcoholism and depression. In 1934 he filed for bankruptcy with assets totaling $12,000. Through the 1940s and 1950s he made a steady comeback starring as himself in Billy Wilder’s Sunset Boulevard and Charlie Chaplin’s Limelight. 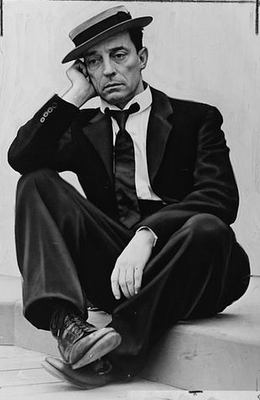 Keaton reissued The General that was met with tremendous praise and in 1959, he was awarded a special Academy Award. He suffered from cancer and passed away in his home in Hollywood Hills in 1966.